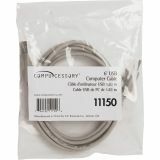 Compucessory USB 2.0 A-B Printer Cables - Use USB cable to connect printer and peripherals to your PC. 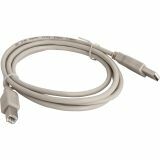 Cable supports fastest USB data transfers and offers plug-and-play technology and durable, fully-molded connector ends. PVC cable jacket provides flexibility and protection from chemicals and abrasion.